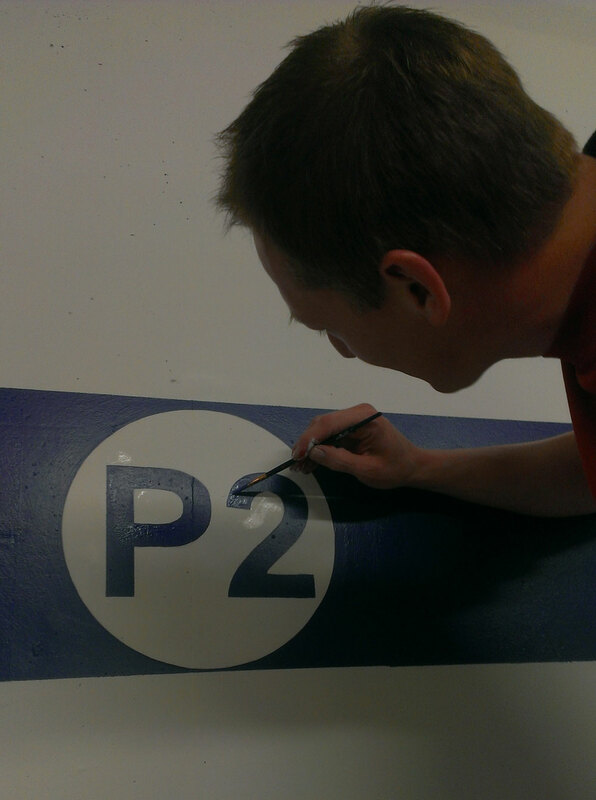 Our EverLine office in Ottawa can provide special markings and branding for your parking lot or property with our custom stenciling services. Our expert painters can provide any design your business needs done. 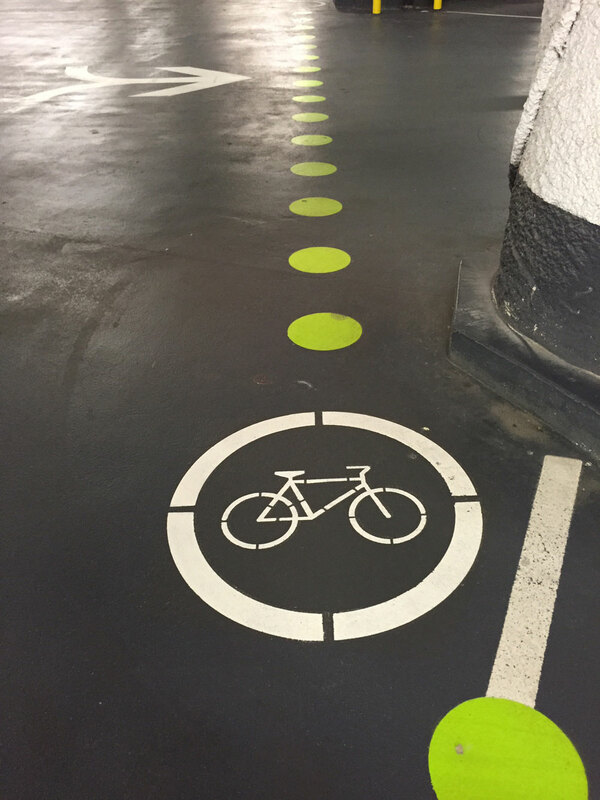 If you require unique markings painted on your parking lot, parking garage or property the custom stenciling experts at EverLine Coatings and Services can help. If your business needs special parking spots labelled, special lanes marked out or different sections to identify we can handle it. Any kind of custom stenciling design you need created or painted our expert crews can provide. If you are looking to brand your business across your property or parking lot then custom stenciling is great for this. Our custom stenciling lets our clients add their logo or cool new designs to their parking lots. If you have had a great design idea to make you parking lot or parking garage stand out we can make it come to life. At EverLine the experience of our custom stenciling painters makes us an easy choice. Our custom stencil crews have painted a wide range of design requests and have seen it all. We know that no matter the design and no matter where you need your custom stenciling done our painters can handle it. In addition to our experience and expertise we also use on high quality product on all of our custom stenciling projects. We use durable products that ensure our projects always look great. The experience and training our custom stencil painters have is what makes them experts in their field. We know that to provide exceptional stencil projects they have to be delivered with precision. This is why our custom stenciling crews our put through extensive training programs to ensure they can execute an design perfectly. When a custom stenciling painter arrives to complete your project you can be sure they have the experience and training to deliver results that will exceed your expectations. In order to ensure great looking and durable custom stenciling services there are a few steps your business can take prior to our crews arrival. First please ensure all debris, obstacles and vehicles have been removed from the area being painted to give our crew room to work. Also make sure the area being painted has been cleaned, this will ensure your project will be precise and durable. Providing value to our customers is one of the keys to our success. To make sure our clients are receiving the best value we price our services on a per job basis. Understanding our clients project and all its details first allows us to provide quotes that work for them. To receive a free estimate on your upcoming custom stenciling project please contact us.